This is floating around teh interwebz and I normally don't post this kind of thing, but since this blog recently discussed the death of Peter Naur, and since David Bowie passed away recently, I thought this was appropriate. 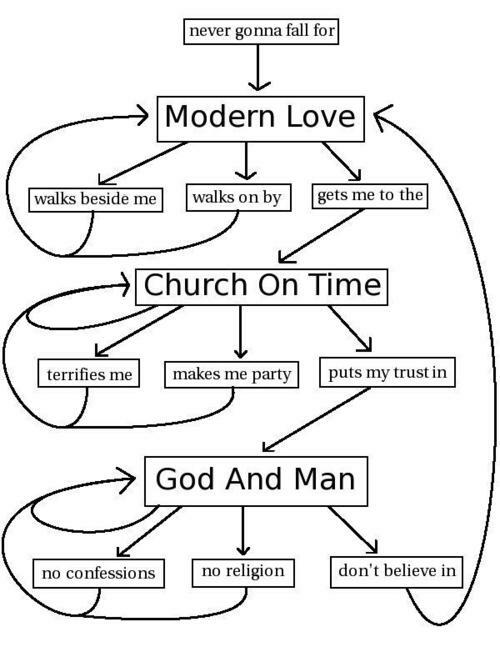 This song, Modern Love, was a big hit around the time that I was first getting interested in Bowie. At that time he'd already had more fame and success in the music industry than most could even hope for. As a result, I learned his music in a strange order. First his hits of the day, then going back to his back catalog and learning about his early career and music.